A huge tour of New Zealand featuring a complete circuit of the South Island including Christchurch, Dunedin, Milford Sound, Queenstown, the West Coast Glaciers, Nelson and 8 days in the North Island including the Bay of Islands. Prepare your senses and camera memory for an unforgettable getaway. 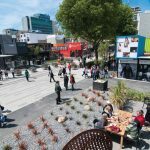 “Haere Mai” Welcome to Christchurch – the Garden City! Disembark, pass through customs and collect your luggage – it’s time to start your holiday. Your rental car is ready to whisk you away to your centrally located accommodation. What should you do with the rest of the day? Take it slow, sit back and relax, punting down the River Avon through the stunning Christchurch Botanic Gardens. Cross the broad Canterbury Plains with the Southern Alps to the west. Enter the foothills near Geraldine to the barren MacKenzie Country. View the Church of the Good Shepherd dedicated to the early pioneers of the region. 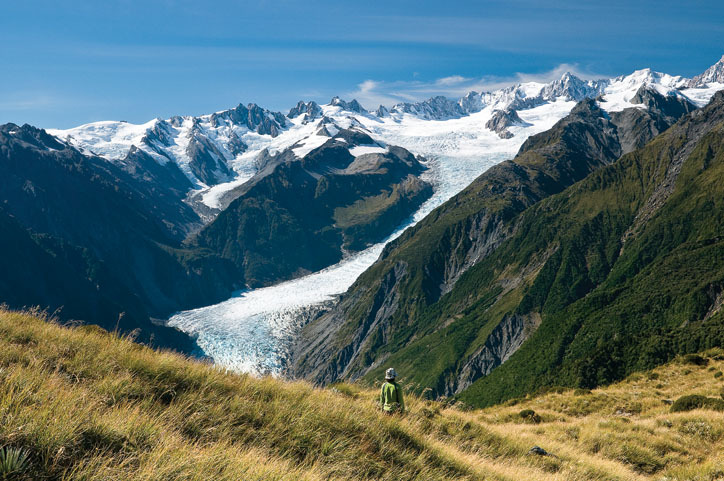 Visit Mt Cook National Park, with time to enjoy the scenic majesty of New Zealand’s highest snow capped peaks before travelling around Lake Pukaki to Twizel and Omarama. 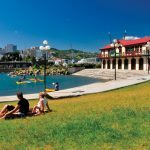 Drive south to historic Oamaru and on to Dunedin – “the Edinburgh of the South.” An early arrival allows the choice of excellent optional activities. Perhaps a Monarch Harbour Cruise to see the albatross, penguins and seals. Dunedin is widely regarded as the best preserved Victorian and Edwardian heritage city in the southern hemisphere. 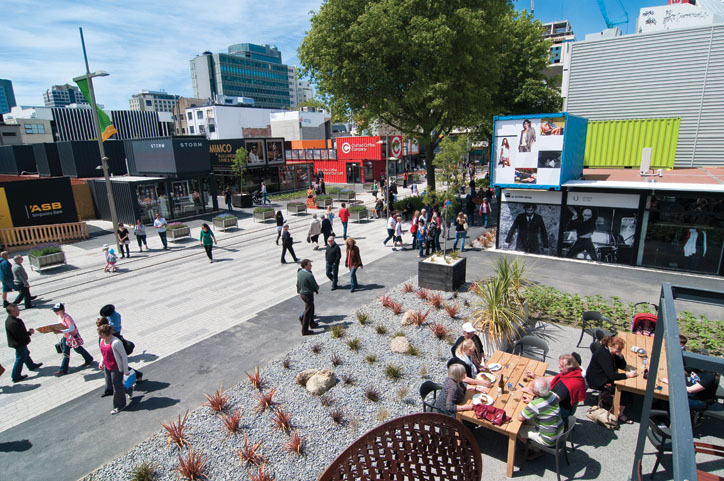 It is also home to some of New Zealand’s top fashion designers and vibrant cafes and bars. Take time to enjoy the rich historical architecture and abundance of wildlife to be found in this fascinating area. Drive through pristine beech forests and the Homer Tunnel to Milford Sound. One of the most incredible and frequently overlooked features of Milford Sound is the journey to get there. The Milford Road is a stunning alpine drive. 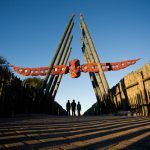 You’ll need to allow plenty of time to stop at the numerous viewing points or short walking opportunities en route, just to get out of the car. Drink in the spectacular scenery and the sheer scale of the landscape. 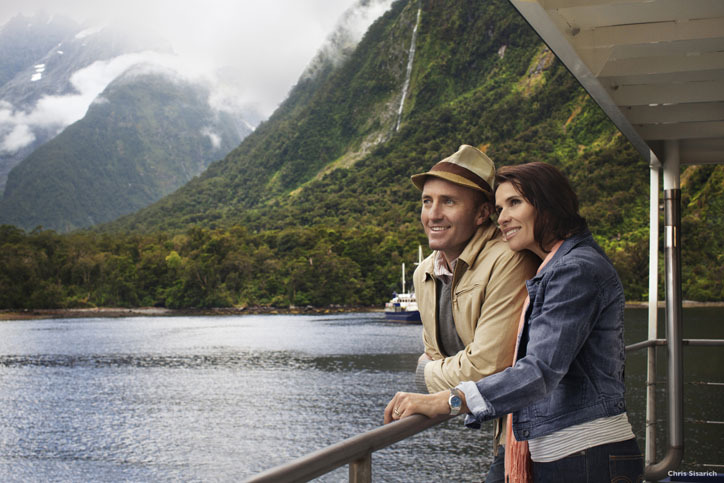 We have included a cruise on the Sound to enable you to appreciate the majesty of Mitre Peak and Bowen Falls. After the cruise, return to Te Anau. 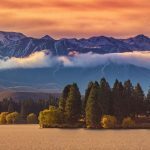 A free morning to explore the region surrounding Lakes Te Anau and Manapouri. Perhaps take in a cruise across Lake Te Anau to explore the Te Anau Glowworm Caves. 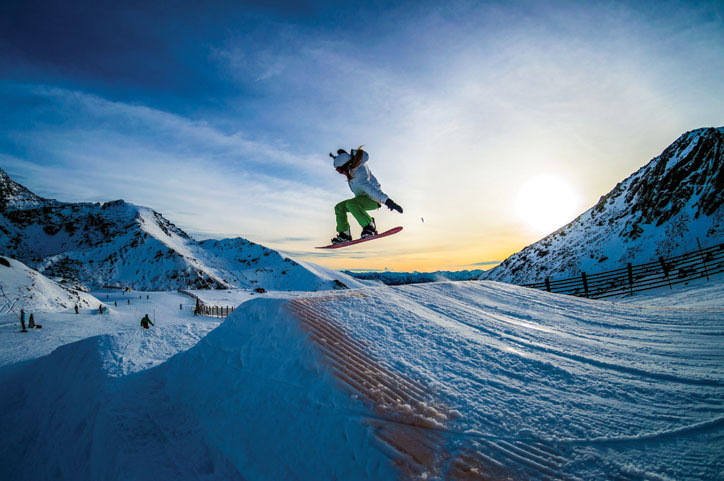 A day free for you to enjoy this fabulous Alpine resort. There are dozens of optional activities as well, from thrilling jet boat rides to leisurely lake cruises, 4WD safaris, bungy jumping. 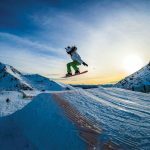 We recommend the world famous Shotover Jet boat ride, take a Gondola to the Skyline high above, a tour to the gold mining area of Skippers Canyon or for the adventurous – white water rafting. Alternatively browse in the many shops and galleries. 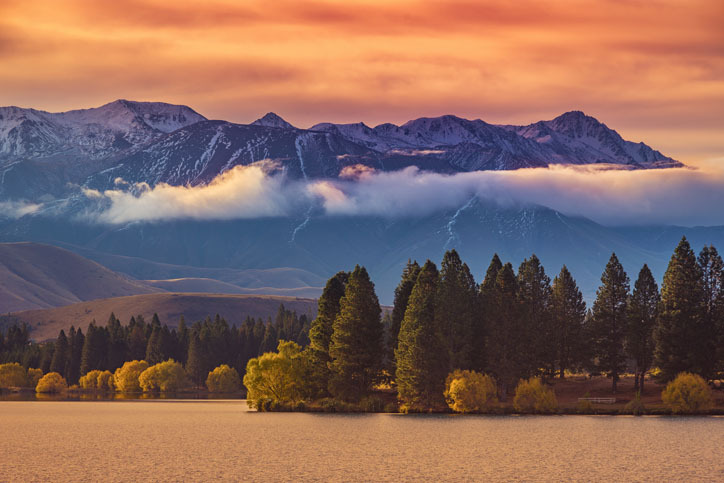 Pass picturesque Lake Hayes on the way to an area steeped in fascinating history relating to early settlement and the goldmining era, then on to Lake Wanaka, a picture postcard resort town on the lake’s edge with a spectacular mountain backdrop. Overnight in Wanaka. A full day to explore this remote and beautiful area. 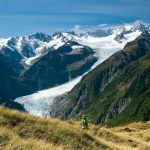 You can take your own time walking up to the glacier, going to the Okarito Lagoon or join a guided walk on the glacier, take a heli-hike adventure, or a scenic flight over both glaciers. We also recommend a visit to the colony of the beautiful white heron (Kotuku). Continue past Greymouth and the Punakaiki Pancake Rocks and Blowholes. The best time to visit the blowholes is at high tide when they are at their most powerful. 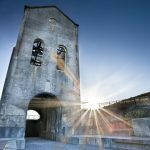 A full day to explore the Nelson area. The nearby Abel Tasman National Park offers opportunities to walk or cruise its beautiful coastline. Walking and hiking are the primary reasons to visit Nelson Lakes National Park. Day walkers can follow a network of short tracks, to enjoy lake views, birdsong and native beech forest. A number of kayaking companies run guided tours from Marahau and Kaiteriteri. From Nelson, head towards the Rai Valley. 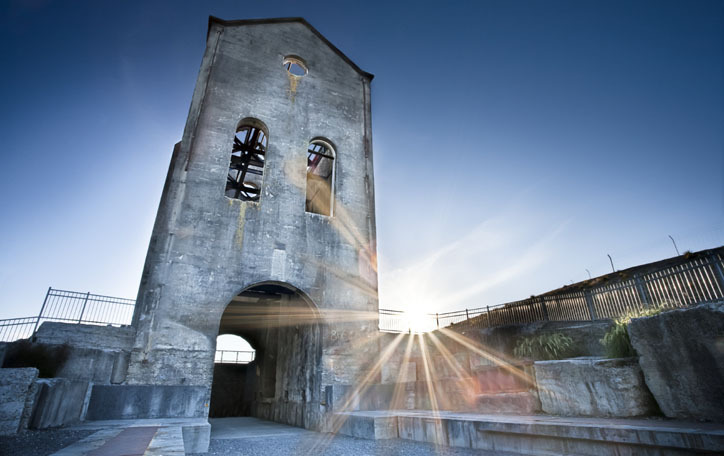 Nearby Canvastown is rich in old gold mining history – thousands tried to make their wealth here in the 1860s. Pelorus Bridge Scenic Reserve is a great starting point for easy walks through forest glades. For something a little more adventurous, choose the track that leads to a waterfall and rock pool, or walk up along a ridge to a 417 metre peak. The drive will then take you to the town of Havelock, widely known as the Green Shell Mussel Capital of the World. Continue on to Blenheim. 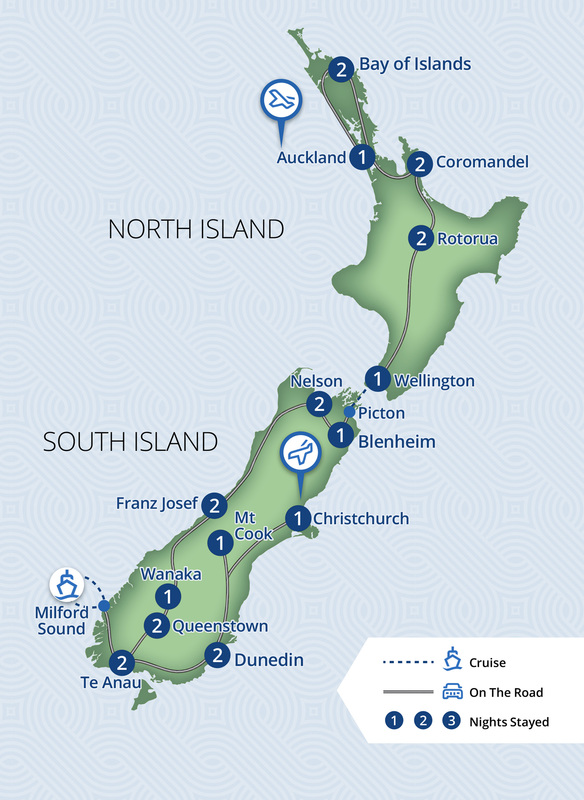 From Blenheim carry on to Picton where you will drop off your rental car and board the ferry. The journey takes you from Picton, through the majestic Marlborough Sounds and into Wellington. 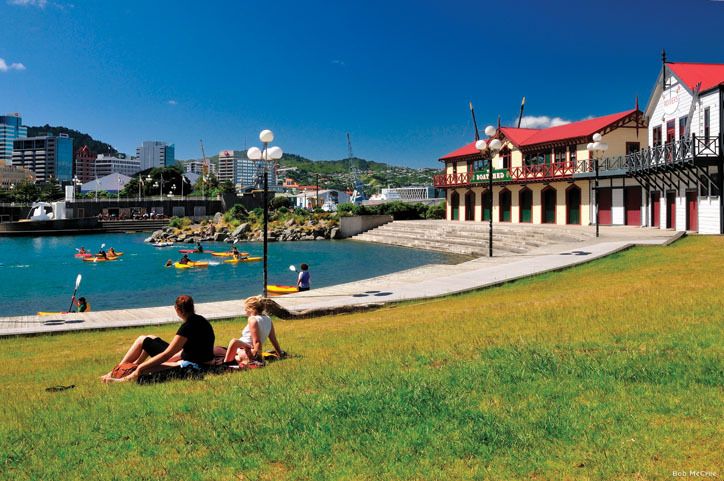 Cross the Cook Strait between the South and North Islands of New Zealand on the Interislander Ferry, to our capital city, sprawled over the hills surrounding Wellington Harbour. The 92 km journey takes 3 hours and is one of New Zealand’s most iconic tourist experiences. You’ll have a great view of Wellington and the harbour. Here, you pick up your new rental car. Overnight in Wellington. Free time to explore Rotorua today. You may like to visit the Agrodome or take a gondola ride to the top of Mt Ngongotaha for spectacular views of Rotorua. This evening experience Te Po, Te Puia’s cultural experience. It is a feast of cultural storytelling, entertainment and Maori kai (indigenous food). After a formal Maori welcome, relax and enjoy a performance including the beautiful songs, haka and poi dance. Drive north through the Bay of Plenty to Tauranga and the Coromandel Peninsula. 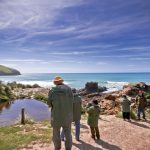 It’s worth taking a break at the beachside resort of Mt Maunganui for a walk around the base of the mountain or along the long, sandy beach. Explore this region, known for its beautiful beaches and coastline, or relax and enjoy the local cafes and shops displaying the wares of local crafts people. This is where New Zealanders hang out during their holidays! Drive across the Hauraki Plains towards Auckland and then to the Bay of Islands. In the Bay of Islands you can find thrilling adventure or perfect peace. The unbelievable natural beauty, amazing beaches and a host of islands make for an idyllic aquatic playground and ultimate retreat. 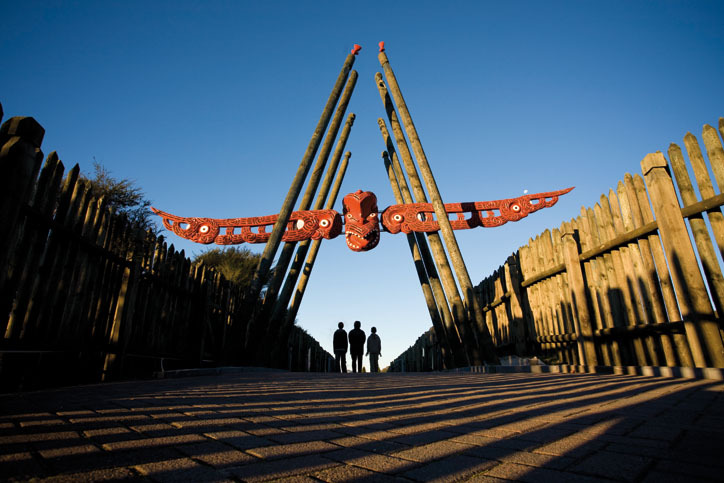 Today is at your leisure for optional activities, such as a visit to quaint Russell or the Waitangi National Reserve. 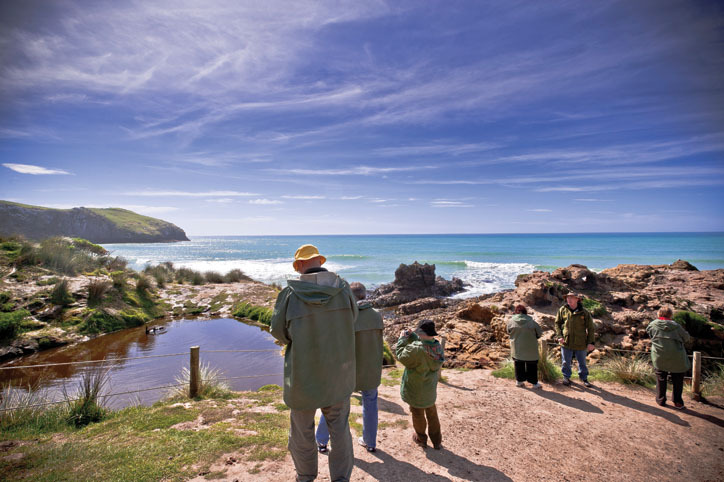 Or you may prefer to join a full day coach tour to Cape Reinga or board a cruise to the intriguing Hole in the Rock. Take the alternative route south to Auckland via the Waipoua Forest. You’ll find a stop at the Matakohe Kauri Museum gives you some great insight to the area you are traveling through. Reach the sprawling suburbs of Auckland, then cross the Waitemata Harbour. Overnight in Auckland. Sadly your holiday comes to end. Return your car at the airport in time to catch your onward flight. There are 30 reviews of this tour from past clients of Relaxing Journeys, averaging 4.7 out of 5. My tour was organised and there were no problems with any of the bookings. Out of the 11 motels there were only 2 that I wouldn't stay at again, majority were excellent places. Changes to the tour were made with no issues or problems and in a very timely and friendly manner. I initially was a bit hesitant in not using a local Australian travel agent, but after all my dealings with Relaxing Journeys and their rep Toni, I can now say that after the trip is over I can't praise the organising of it highly enough. Toni was extremely easy to deal with about a few changes to the initial itinerary as listed on the website. One thing to keep in mind when doing a driving holiday is that even though the trip should take "x" hours per day it was not unusual in our case to add 3 hours to this for the sightseeing and meals. I would also suggest that you have at least a two night stay in one place per week of travel to allow a bit of r&r. And don't forget that it is supposed to be a holiday so no need to get up at the crack of dawn and hit the road. We debated between using a tour company to organize our trip or to organize it ourself. In the end we chose using a tour company and were pleased that we did. Mani altered the trip to match our criteria but also ensured that we did not talk ourselves out of any New Zealand's highlights. He chose motels in great locatons and seemed to know what time to book excursions. We were given a great map book to help choose routes but he also suggested things we might like to see on the travel days. When we arrived at our hotel in Christchurch we realized that due to construction it would not be a good idea to return to this hotel for our last night given we would have a long drive that day and then need to be at the airport at 3:30am the next morning. We called Relaxing Journeys and they were able to book us a room at the hotel 2 minutes from the airport. It took the stress out of an early morning flight. It also allowed us to return the car in the evening and avoid the extra time required to return the car in the morning. We really enjoyed our trip but in retrospect think we tried to squeeze too much into three weeks. We should have either just done the South Island or added a fourth week. This was a wonderful 23 day trip. The trip was completely outlined in the 13-page itinerary we received before the trip. We drove 2,700 miles and stayed in 14 different hotels/motels. The quality of our accommodations was beyond our expectations. All the indicated driving distances were accurate; every reservation for lodging and excursions had been made and we were warmly welcomed at every stop. The Kruse Commentary system provided a lot of information as we traveled; we had to call their technical support for one issue, and the response time to resolve it was within one hour. It was a more carefree vacation for us, knowing that all the logistical arrangements had been handled by Relaxing Journeys. Had a fantastic holiday touring New Zealand. Would like to thank Marie very much for helping us have an unforgettable holiday. GPS/Kruse system was excellent, informative and simple to use. Vehicle was perfect for our needs of 4 adults luggage and comfort. Pick up and drop off of vehicles was straight forward. Most of the accom was good - In Rotorua, Wellington, Franz Joseph and Tairua the standard was not quite up to our expectation due to age of premise, no smoke alarms or RCD, size of rooms and fitout. Those in Dunedin, Queenstown and Auckland were great and the best was the Wanaka one (ed - Distinction Wanaka) - excellent, new, well-appointed etc. Tour at Milford and Maori experience were also great - as was the crossing between islands. Only unexpected event was the earthquake! Grateful did not impact us but sorry that was not the case for NZ. Our 3 week tour went very smoothly. Accommodations were all good (a couple were fantastic) and well situated. Our rental vehicle was in excellent condition and perfect for our needs. We had a nice balance of planned excursions and free time to explore. Relaxing Journeys provided excellent, responsive service both during the planning phase and while we were in the country. We made a last minute change to our itinerary while in New Zealand, and they quickly altered our accommodation on a national holiday. Much appreciated. New Zealand held something amazing for us each and every day. We had a great trip and Leanne was responsive and helpful throughout all the planning. Even when we requested a one day mid-trip itinerary change while on our trip, Leanne was happy to help. The only reason we didn't rate the trip as excellent was that there was a bit more driving than we expected. Distances were not that great but the windy, narrow roads mean that distances take longer to cover. All in all, it was a great trip and we hope to be back one day. Overall trip was great felt the variation of standard in motels was quite great and also the car hire group not of the best service. We did find some of the days to be of a much longer driving period than we had expected, which at times made us push a bit harder tha we would have wanted. But as I said we really enjoyed your country and its lovely people. Thank you very much for your fantastic tour organisation, we all had a great time. Twizell was a bit of a waste and the features just ok. Every thing else was brilliant. We thought the commentary on the GPS Cruze was great. Once again thank you.